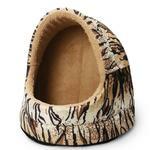 Show off your pet's wild side with a FurHaven NAP Hood in a fun tiger fur print! 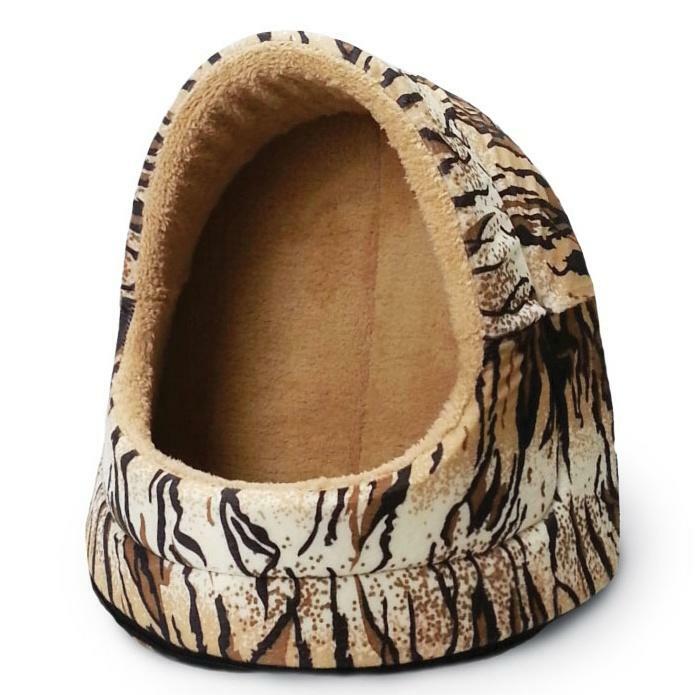 Purr-fect for cats but loved by stylish small dogs too, your pint-size diva will love the secure cave (or dome) style comfort. Snuggly-Soft terry fleece interior creates a perfectly cozy space for hours of napping and relaxing. Trendy animal print exterior is easy-care and a fun home accessory! The foam dome structure supports hips and back and can be used in two configurations - long or tall. This bed also features an innovative zippered design for easy washing, transport or storage. Also available in solid color terry and ultra plush fabrics.